Even though the Wii U has been out for a couple years, I still find a lot of the games from the original Wii appealing. My family continues to play these on the Wii U which is backwards compatible with the Wii. Games like these are classics that I always come back to. If you don’t see your favorite game on this list, be sure to comment and vote for your favorite game below. Picture this: long, long ago, an eight headed demon is destroying a small village. Shiranui and Nagi try to deaft this Orochi but are only successful in sealing it away. A descendant of Nagi breaks the seal as he tries to prove that the legend is false. Orochi escapes and drains the life out of every living thing. 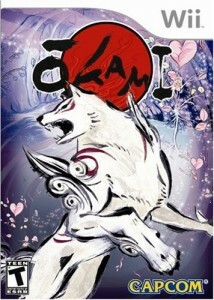 Okami, meaning “great god”, or “wolf” is the character you play as you bring balance to the world. I thought the Japanese folklore and art style was beautiful. I like being able to defeat enemies with both motion controlled physical attacks, and the Wii remote as well. The character Issun is a bug that travels around on the nose of Ammy (the wolf) and does not stop making noise! This gets very old after a while. Some parts of the game are almost too challenging and offer a level of frustration that I’m not used to. To advance to many different areas of the game, you are required to draw certain shapes using the remote; a lot of these seemed very difficult; however, it did offer me hours of gameplay with a beautiful soundtrack and visuals. Watch for some of these new games that will come out this year, Battleship, I Spy and Brave to name a few. 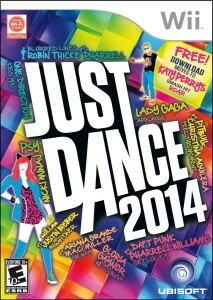 These are sure to be new Wii favorites for your family. 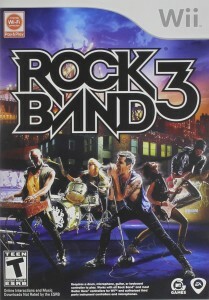 Let your inner rock star shine with this newest version of Rock Band. You can play this game both locally and online for more versatility. This game has 83 tracks from bands around the world. I think the best feature is being able to create and save set lists to share them with friends both in the game and on RockBand.com. This game comes with a three part vocal harmony functionality and a keyboard peripheral. This way, you can rock with up to 7 of your friends! Even if you don’t play any actual instruments, this game helps you develop real musical skills from levels Easy to Expert. A drawback that I noticed was that navigation isn’t very user friendly, but once you get it figured out, playing is quite fun. This isn’t a huge deal breaker but once you make your characters facial features, they are there for life; there is no going back to change them. Unlocking outfits isn’t as easy as it is in previous versions either. Overall, this version was still very fun to play with friends and family and gets people moving and singing. 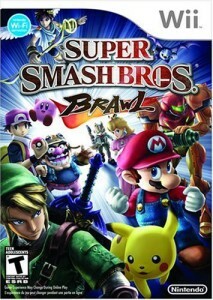 All your favorite characters come together to brawl in this fun game. There are new characters like Sonic, Wario and Diddy Kong. The General of the Subspace Army is trying to take over the world. This dread army wants to harvest the powers of the characters and turn them into trophies. You must make your way across Subspace to revive all the characters you can find. Ultimately, you must defeat the Subspace Army and restore peace to the Smash Bros. universe. This game does offer online playing capabilities. I really like that each character has four special moves that will do different things to each enemy. This makes a great game for younger players, but the older ones might find it too easy and boring. This version is about the same as the others but has more levels, more stages and more characters to choose from. Go on, play with some goo. This “game” is one that will challenge your mind as well as your gaming skills. It is a physics based puzzle/construction game that includes dragging and dropping balls of goo to create all kinds of structures. There are pipes throughout this world that the Goo Balls are instinctively drawn to; you must build bridges towers, and other structures to reach the pipes. Once there, the Goo Balls are sucked up and sent to the World of Goo Corporation to be turned into various products. The game has five chapters with each one containing several levels. 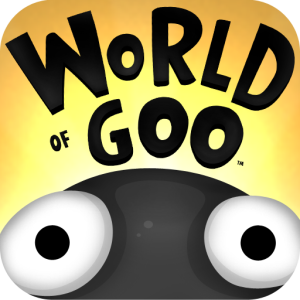 There is also a bonus game called World of Goo Corporation where you must build the highest tower using good balls that you have collected through the game. Goo Balls have different characteristics that can assist you in your construction. I like to go the sandbox area where I can compete with other players worldwide by building the tallest tower possible. The biggest drawback to the game is that it only has 48 levels in all; it does make for short game play. I must admit, zombies scare me silly, but as I played this game, I found that I really enjoyed killing their undead butts! 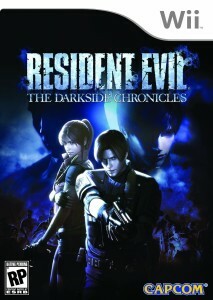 The game comes with a two player co-op option and has return characters like Leon Kennedy and Claire Redfield. A twist that I found to be very compelling is that you are also fighting your own inner demons along with the zombies; this adds another element of terror to the situation. As an option for people who are new to this kind of first person shooter game, it should prove challenging enough. Seasoned Resident Evil gamers have been a bit disappointed in the way the characters move around slowly without being able to control where you go in the game; you are basically at the mercy of the storyline. Another drawback to veterans is how easy it is to beat. The creators decided to make the experience creepier with hand camera type movement. However, I found the bouncing camera to be distracting and it gave me a headache. I was able to play more comfortably as I got into it though. For all you action junkies out there, this is a great game for your collection. Americans and Russian Federation soldiers are locked in conflict. Ultranationalist Vladimir Makarov is using his Russian forces to invade the United States the United Kingdom. This game has a lot of fast-paced combat that kept me on my toes. There are several new game modes in this sequel like Kill Confirmed mode where you can take dog tags from killed players while keeping the enemy from taking yours. Team mode lets you grab and protect the flag carrier for higher scores. It has a host of 2 player Co-op Special Ops Survival Mode with 16 new objective based missions. The one thing I don’t like so much about this game is that it takes more and more money to keep playing online as I wait for more maps that should have been included initially. The one thing I did notice that was hard to get over is that the maps are not the best quality. 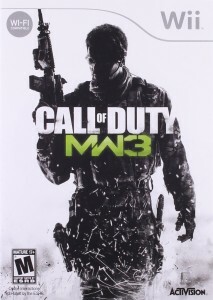 Call of Duty fans will have to play the game to determine how they like it, but overall, I enjoyed it. The Nintendo Wii would not be complete without a host of Mario games. One of which that has become a recent favorite is Super Mario Galaxy. Of course, Mario must save the Princess again; you’d think she’d learn how to avoid capture by now…? Anyway, Mario travels from galaxy to galaxy collecting stars and finding Yoshi to help him on certain levels. Something new from the previous version of this game are the addition of new power-ups as well as many of the old ones; Mario now can acquire a drill to tunnel through the planet’s surface all the way to the other side. A drawback that I did notice was that the characters can be hard to control. However, once I got used to it, it wasn’t so bad. 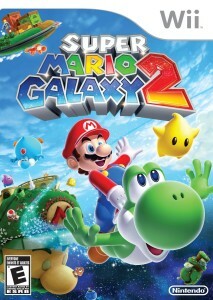 I personally like the first Super Mario Galaxy because it seemed more engaging to me, but this one is still pretty fun and has great ratings. The graphics are superb with very well created characters and if you like other games in the Super Mario Bros. series, then you’ll like this one as well. For young Jack Sparrow’s everywhere! With more than 20 levels and 70 characters, your younger ones will enjoy this one. A lot of the characters are just cookie cuts of the others, but kids really enjoy choosing different characters to fit their ever changing moods. I found this game engaging because of all the LEGO treasures to be found and all the secrets; we still aren’t done figuring them all out yet. Another fun thing is the scenes from the movie that are re-rendered with LEGO Minifigures; the kids really enjoy watching those clips. I will say however, that the clips are kind of blurry and really could use some cleaning up. Some younger children find this game challenging and others not enough. It is rated E for Everyone with a 10+ advisory. 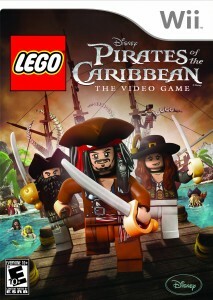 With a game that follows all four Pirates movies, there is plenty to do. If you like online play, you will be disappointed as this game does not offer it. Kids love all the silliness that is included in this game; like making enemies slip on banana peels, or bonking them on the head with a bottle. If you want to get your booty moving, then start grooving! This game features 45 tracks for very different genres. To get it out of the way, the thing I was disappointed about most in regards to this game is that the song selection is kind of obscure; there are a few popular artists like LMFAO and Katy Perry but many others I haven’t even heard of. I do like that there are new gameplay modes with cardio options and different choreography. The background changes as you get good at performing progressive moves and that is fun to see. I love popping this game in for rowdy children; they can get rowdy dancing, then all that energy is burned off and I have a quieter house! Buyer beware that some of the songs are inappropriate for young children and even some for tweens and teens. If you are cautious with lyrics, I would advise another game than this one. Most people like this game as a workout and it will give you one for sure! The Wii was released in 2006 and has been a favorite for people all over the world. As the leader in motion sensing gaming, the Nintendo Wii is the only one with the rights to my favorite Wii game of all time – Twilight Princess. I have been a Zelda fan since the first Nintendo came out. 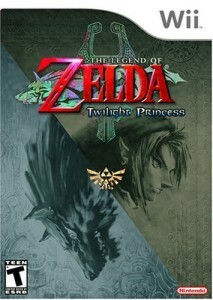 Twilight Princess takes all of Link’s adventures and gives them a new twist. The land of Twilight has taken over Hyrule, and Link must quest to gain strength, skills and weapons to defeat the darkness. This game has many side objectives to keep you busy and new techniques for killing enemies. Weapon controls are more precise than ever with faster movement and better kills. Never fear because a great hero is never far from his trusty steed – Epona. Together, they travel the vast map of Hyrule to complete every mission. Some people have found this game to be boring, and I will agree that it isn’t as stimulating as some of the older Zelda games, but I like being able to take a break from the main quest and play some fun games to win supplies and money. There is no talking from the characters and only subtitles; to put that much audio in a video game would require a lot of space, so I understand why they didn’t include it. I like being able to read so if I get distracted, I don’t miss anything. Add this one to your Zelda collection. Certainly there are some games that some will like better than others and your opinion does count. Be sure to vote for your favorite Wii Game of all time below and leave me your comment.